​​We absolutely love desserts, especially chocolate based! We are a fully registered home based business, established in Melbourne in 2016. We have recently relocated to the local community of Bannockburn, Victoria and service both locally and the greater Geelong region. 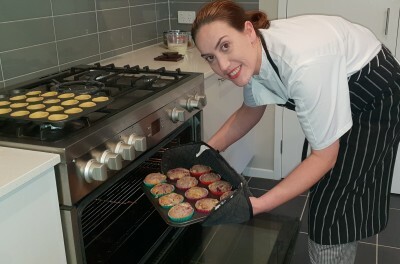 Donna, owner and chef has always loved to bake. Since a very young age she would love to bake and make a mess in the kitchen with her mum. Donna derives great pleasure watching the satisfaction and enjoyment on people's faces when they eat her desserts. To this day, she uses generations of dessert inspirations and recipes that have been handed down to her. All of our products are handmade and we have generations of dessert inspirations and recipes that have been handed down to us. Our customised biscuits are one of our best sellers. We can imprint any message or add a personalised edible image to our biscuits, giving your next event a special and personalised touch. These also make a great gift or bonbonniere idea. Catering for baby showers, birthdays, weddings, engagements, christenings, work functions and all other special events. We cater for all ages and tastes, you are bound to find something for everybody. "I eat cake because it is somebody's birthday somewhere in the world"